It’s not surprising the amount of waste that a household of thirty produces that has to be well organized. With the arrival of new children each year, we have to go through the process anew. There are five different sacks in use with labels that are importantly operating: PAPIL (paper), SILUPIN (plastic), LATA (can), BOTILYA (bottle), and BAGUL (coconut hull). Of course, there is also a bucket for the waste food from the kitchen for dogs and pigs. Most interesting is the vermiculture the children make. It takes two months for the garden sweepings, vegetable skins and paper waste to be recycled into valuable organic material that enriches the soil and growth of vegetables. It’s great to see the like the children make. 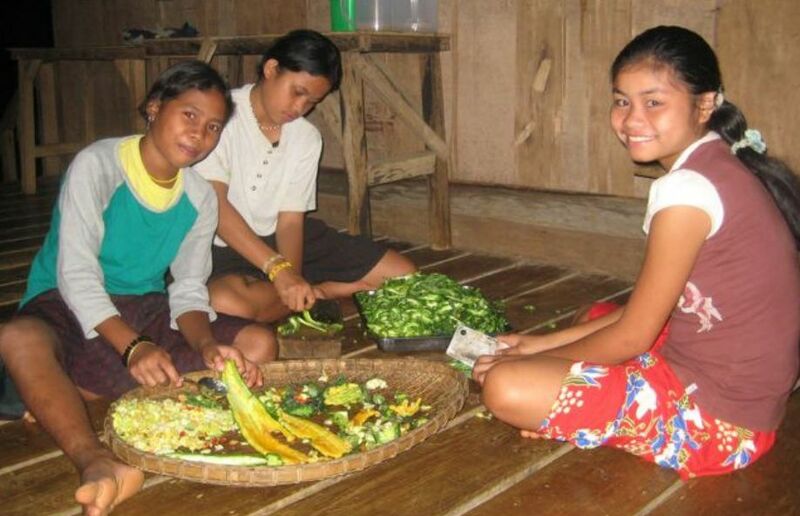 In this time, there are four vermicompost beds generated from the kitchen and at least ten have been started in the garden from simple cutting of vegetation and weeding. 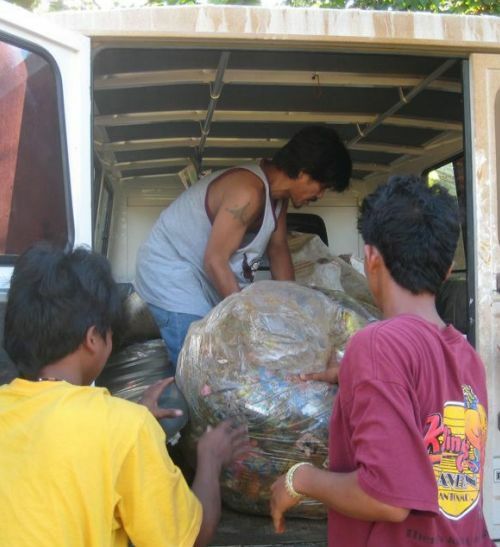 Plastic wastes and other non-biodegradable products are bagged for selling and disposal in Malaybalay. We still depend on canned sardines and meat that really mount up so much in a month. We must have a good sack load of flattened cans. Trying to get people to clean the lata before flattening and storing them is a problem but in the long run is best for all. We tried to use the cans also in the nursery but in the end they are also a problem in different ways, so now, we bag them and sell them down in Malaybalay about 3 pesos a kilo. Botilya or bottles, if not used for other things and stores, are easily sold. Fortunately we have no PET bottles, or only a few from people coming up and leaving them behind. The biggest problem is clearly silupin or plastic. Everything that comes up the mountain comes in plastic. We use crates for the transportation of vegetables, but it is all the sachets and wrappings. Just so many things with fine Styrofoam comes to Bendum. At present, we bag these up and are seeking a way of separating and selling or giving them for recycling before going to the tip. The coconut hulls need to be collected so that they do not breed mosquitoes and can be sold for uling (charcoal) or for cups used in tapping rubber. As yet, the idea of gathering them has a little impact on their disposal as they so easily disappear.